Jump for JOY ~ Spring! With these 5 Top Tips, for spring landscape design and maintenance, Biosphere will improve your outdoor pleasure. 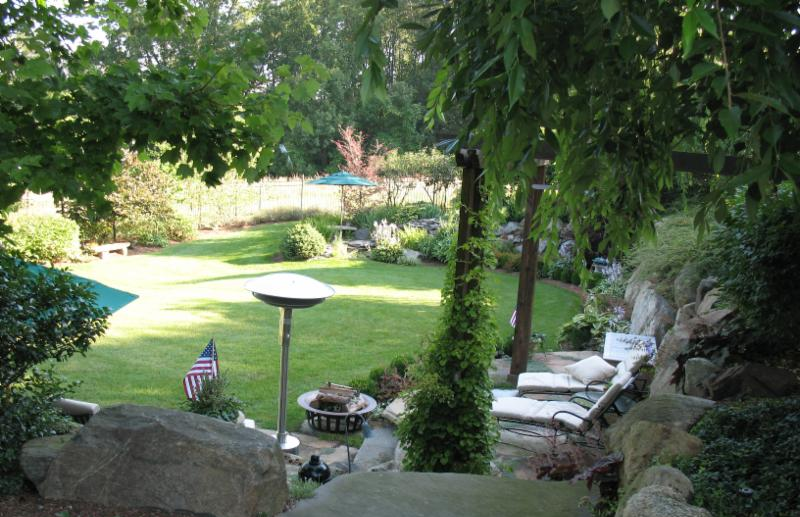 Meet with a Biosphere Landscape Designer to assess and enhance your outdoor spaces considering trees, plants, flowers, BBQ's, fireplaces, pathways, patios, and water features. BioCare is the division of Biosphere devoted to year round woody and perennial plant care, hardscape maintenance, and unique seasonal flower displays. With such a cold and snowy winter, masonry gets damaged from snowplowing and the perils of winter heaving. 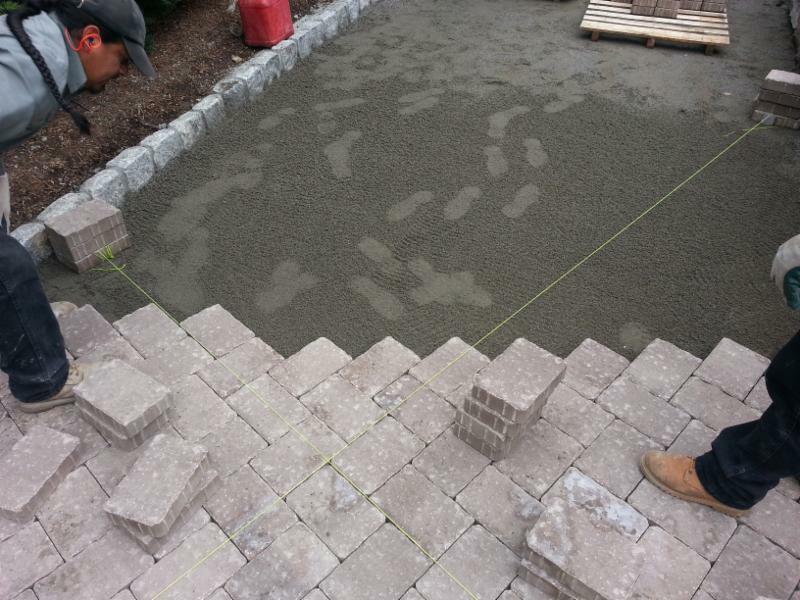 Biosphere has professionals to handle any Belgian block, paver, or natural stonework repair. The snow melt makes it easy to see the drainage patterns causing over-saturated lawns and problem areas. At Biosphere, we work with the natural flows of the landscape to improve upon what already exists. 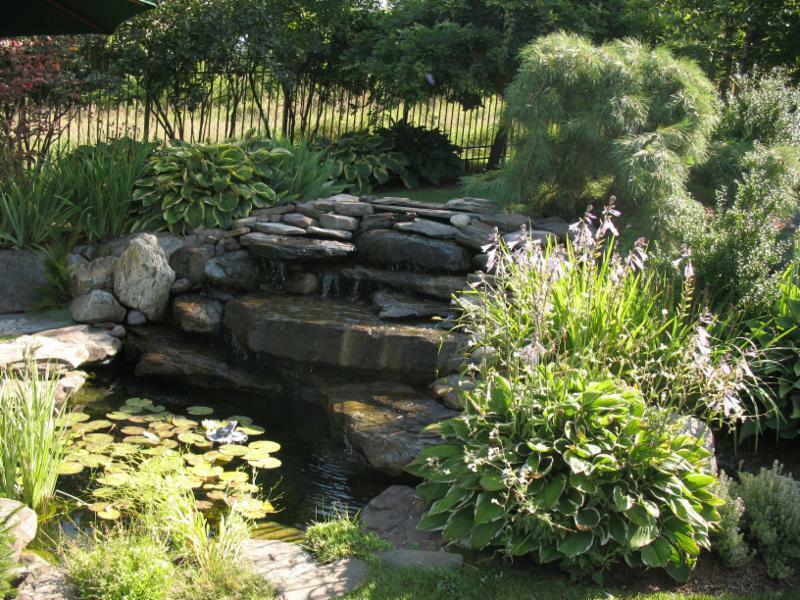 A flooded lawn area may be the perfect spot for a rain garden. 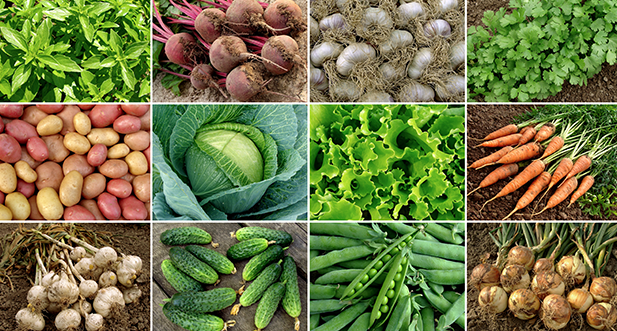 Considering how beneficial locally grown food is, how about a raised bed vegetable garden? Now is a great time to plan and plant a garden. Biosphere has teamed up with Yard2Kitchen building and maintaining raised bed gardens providing you with fresh produce to pick from your own backyard. Thank you for being a partner with Biosphere. We specialize in outside possibilities. 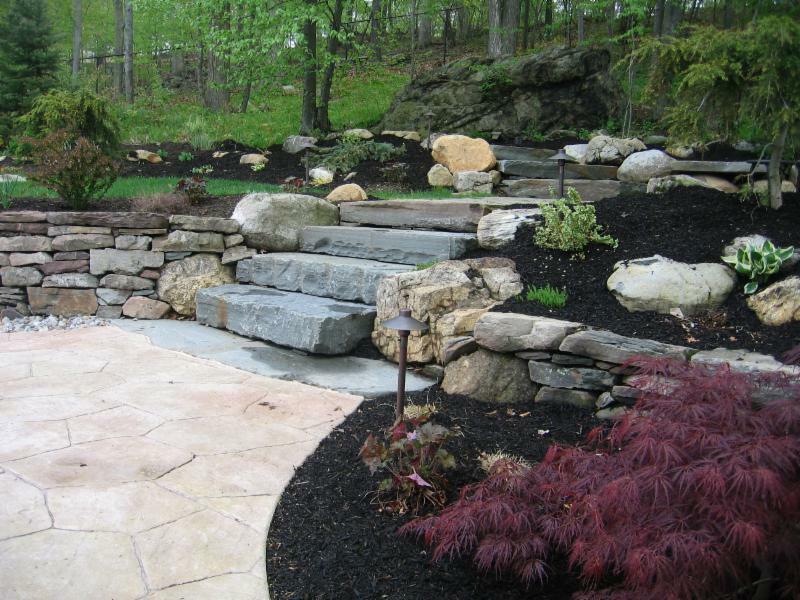 Call on us to design, build, manage, and maintain the outdoor beauty of both your residential and commercial properties. The winter of 2013-14 took a toll on the landscapes of northern New Jersey. Hollies and boxwoods look burned, the lawn has snow mold, granite curbing has been destroyed by snow plows, tree branches have snapped, plants that were marginally hardy may not even come back at all -- I've got my eye on those Crape Myrtles. We have a winner of our Birdhouse Raffle! To @Eileen Bassi of Franklin Lakes, NJ. Our latest winner of a custom made and installed birdhouse courtesy of Wild Birds Unlimited of Paramus, NJ. Is All This Snow Killing Your Lawn? Do you regularly mow your lawn? Do you remove all of the leaves from your lawn? Do you remove the snow build up on your lawn? If you said no to either one of these questions, pay close attention to your lawn as the snow begins to melt. If your lawn looks like it has dead grey patches chances are you have a fungal disease called Snow Mold.